RFID provider Vue Technology this week announced that New Balance, the global athletic company, has successfully implemented an item-level RFID solution to track footwear from the distribution center to the corporate factory store. 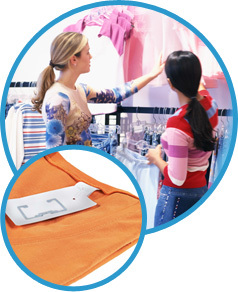 Using Vue Technology’s TrueVUE Platform combined with tags from Avery Dennison Retail Information Services, and handheld and fixed RFID readers and antennas from Motorola’s Enterprise Mobility business, New Balance has achieved its goal of the implementation – greater inventory visibility and improved accuracy at the item level. “Our goal was to gain improved visibility into item-level inventory levels at every step along the supply chain – from the distribution center to the store backroom and all the way to the retail shelf,” said Jim Tompkins, president and COO of New Balance, in a press release.